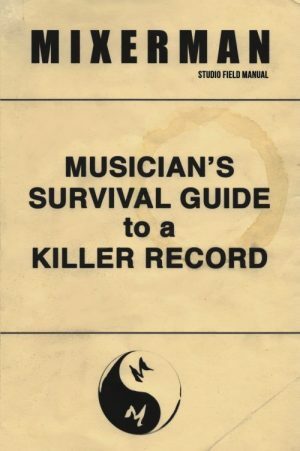 Today, I’d like to share with you a section from my upcoming book Musician’s Survival Guide to a Killer Record. One of the more important concepts in record making has to do with space and how we use it to our advantage. As a musician making your own record, you need to understand space, as it has everything to do with your arrangement decisions. 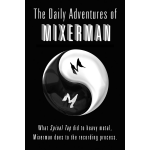 In my second book, Zen and the Art of Mixing, I presented my Five Planes of Space in which a mixer operates. 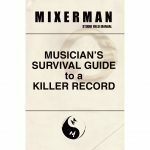 I’ve rewritten most of it to more closely address the needs of musicians. Today, I will present my thoughts on the benefits of width in a production. In a stereo image there are five planes of space that we use to create a four-dimensional image (the fourth dimension being time): panning—left to right; frequency—up to down; balance—front to back; reflectivity—far to near; and contrast (dynamics)—sparse to dense. The strongest stereo image is derived from two mono sources panned hard left and hard right. In the case of acoustic guitar, the strongest image will come from two unique players on their own instruments performing their own unique parts. This is a stronger image than one produced by one player performing a true double with the same guitar. Musicians who have reached at least a modicum of proficiency on their instruments tend to play with some consistency, which creates a subtle sonic fingerprint. If I have the same player on the same guitar perform a true double panned hard, there will be enough slight timing differentials to produce a strong stereo image. There will also be subtle timing and tonal similarities. As such, the guitars will not appear quite as wide as they might were we to switch some things up. Changing out the guitar on the double will serve to widen the image. The weakest stereo image (aside from most keyboard patches) occurs when you employ stereo miking techniques, mostly because you’re collecting both side and center information. It’s still a stereo image, but the two sides are not wholly independent, as such, they form an image that spreads across the entirety of the field including the middle. I routinely pan stereo drum overheads hard left and hard right because the stereo image isn’t all that wide to begin with. Meanwhile, others on the Internet proudly proclaim that they toe their overheads in, meaning they soft pan them. But all that does is put even more sonic information in the middle, which both reduces the apparent size of the kit, and increases the competition for space in the center of your production. When you pan two guitar parts such that one sounds only through the left monitor and the other only through the right, you have defined the edges of your width plane. Make no mistake, you will make your life easier if you use the full width of your stereo field. Why? Because when you muck up the middle you eat valuable space. When you toe in your two guitars to internal pan positions rather than to pan them hard, and when you toe in your drum overheads rather than to pan them hard, you are purposely choosing to reduce the space within which you have to operate. This would be like moving all of your living room furniture off the wall by two feet for purposes of doing your exercises. You’ve accomplished nothing other than to make it more difficult to move around. I have news for you. From the perspective of the listener, it makes no difference where you pan anything. None at all. For starters, Music Fan really doesn’t care. You will never hear a punter complain about where things are panned within a production. They might muse about it, but it won’t cause anyone to shut off your record. The fact of the matter is, unless the listener is wearing headphones, she is usually located outside of the stereo image. We can’t even really consider headphones in terms of imaging, because the closed ear nature of them prevents the two sides from fully interacting. Headphones also don’t align with the three dimensional manner in which we hear. When you play music through monitors the music interacts within a space. Not so with headphones. I’m not suggesting that headphones should be ignored, or that they’re bad, or that no one should ever listen in headphones. There’s nothing quite like the solitude of great music in headphones. All I’m saying is the imaging in headphones is unnatural. And so, when you listen in headphones and freak out about the unnatural sound of a hard panned guitar–that’s because headphones are an unnatural way of listening, not because it’s unnatural to hard pan a guitar. There is no compromise available for dealing with how a track is heard on headphones as compared to how it’s heard through monitors. If wide imaging in headphones weirds you out, then you shouldn’t ever listen to music in them. All of this might make you wonder, if it doesn’t matter to the listener where anything is panned, then why pan anything at all? Because your panning decisions aren’t for the listener. They’re for you. This is purely about real estate, which, in terms of a record production, amounts to space. And the more space with which you have to operate, the easier it will be to balance your arrangement, and thereby deliver a Killer Record. Not to overstate the obvious, but if the punter doesn’t care about the panning, but hard panning will make your life easier, then it makes no sense whatsoever to avoid the full width of your stereo image. I can assure you, there is more precedent for hard panning in a production than there is for soft panning, and with almost no regard to symmetry. Asymmetry isn’t something to be afraid of. It should be cherished. Seriously, why would we want everything symmetrical all the time? That would be boring and lack contrast. You’re a musician and therefore, an Artist. You do yourself no favors operating in fear of contrast, which is arguably one of your more critical tools. Make no mistake about it, asymmetry is the contrast for symmetry. One doesn’t exist without the other. You want to summarily reject one of your most effective tools for dynamic and contrast? If you find yourself uncomfortable with asymmetry–if you can’t fathom the idea of having one electric guitar panned hard, or having a tambourine all the way to one side without anything on the other side to counterbalance it–then you are operating out of an irrational fear. You significantly reduce your contrast when you require symmetry at all times throughout your production. Meanwhile, I will do everything I can to get lift out of a chorus, even one that has its own natural payoff. It’s a powerful dynamic to go from the asymmetry of a single guitar on the left, to two guitars panned hard left and hard right. I literally shake my head in disbelief when I read how people freak out over panning decisions. Every single day, someone posts about duplicating a guitar and panning them hard left and hard right in order to produce symmetry. That’ll produce symmetry alright. The guitar will appear in the middle. 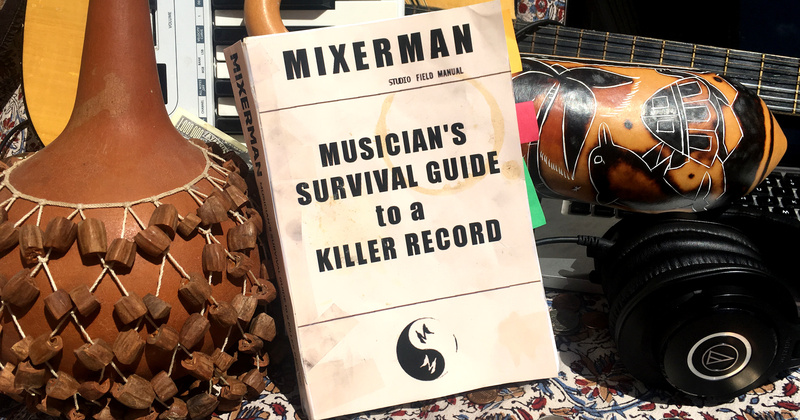 This fact doesn’t seem to prevent scores of other would-be record makers from piping in that they duplicate and pan their guitars with great success all the time. Which begs the question: How is it none of them noticed the guitar was in the middle? Others will interject how they delay one side by about 23 milliseconds (ms), which is enough of a time differential to throw the guitars to the sides, but not enough to prevent some cancellation from occurring when heard from outside of the stereo field. Still others like to invert polarity on one of the sides (without a delay), which will result in total cancellation in certain situations. Then there’s the suggestion to simply re-amp the duplicate, which doesn’t actually alter the signal enough to produce a strong stereo image. We’ll talk about all of this in detail as it relates to phase coherency. The point is, these sorts of strategies are typically employed for two reasons: to produce symmetry, and to make the guitars bigger. I can help you with this.If you want your guitars big and symmetrical too, all you have to do is record two of them and pan them hard. It’s no more complicated than that. Most baffling about all of this is how these would-be record makers will do anything they can to avoid recording a second guitar part. That’s the fun part! And if the guitar part is slightly outside of your abilities, then it’s good practice. You’d rather practice ineffective electronic manipulation? I don’t understand how anyone can listen to music for their whole life, and not realize that hard panning and asymmetry are staples in modern music production. And by modern I mean anything produced in that last 50 years. But then, I suppose that just proves my point. As a music fan, you never noticed the panning. It wasn’t until you started working on your own records that panning ever became an issue. In general, I pan hard or don’t pan at all in my productions. I will certainly use internal pan positions on occasion, particularly on dense productions. But I’ve gone through periods of my career where it was downright rare for me to use an internal pan position other than the center. You will see discussions online about LCR mixing (Left, Center, Right), which isn’t a system or a method, but rather a contrived exercise in which you implement the specific limit of three pan positions, regardless of circumstance. This is a reasonable exercise to establish the discipline, but there is nothing in music that you should do regardless of circumstance. That said, I can tell you from first-hand experience as a third-party mixer, if you frequently choose to pan hard, you will remove a major impediment from your balance decisions. And that extra space will have an enormous impact on your ability to deliver a Killer Record.